Few places in Argentina are as exemplary as Paraje Altamira to understand where the wine business is heading. 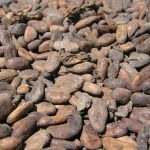 The reason can be found in the same story of the Paraje (place or area): and how it went from being a place with no precise limits, to a well established Geographical Indication (GI) within the last three years. There are a dozen brands on the market that use its name with pride, while the criteria used for its delimitation are starting to be implemented in the rest of Argentina. To the South of the Valle de Uco, right next to La Consulta, in San Carlos, is a place where, throughout the twentieth century the old vintners were getting excellent grapes, and they call it Altamira. It was never clear exactly where it began or ended, because there were no noticeable boundaries, nor is it known exactly where the name originated. But what is undisputed is that the wines which come from there have always been different: for their colour and tannic concentration, flavour and freshness. 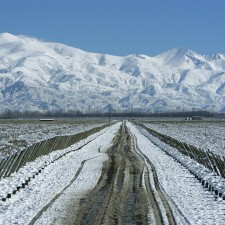 Consequently, wineries from all over Mendoza want a part of it. Altamira has cemented a certain reputation for itself, although that reputation may not consolidate the limits of a GI. And just at the time when its name began to be spoken in increasingly distant places, Argentina began with the characterisation of terroirs and the opportunity to define a region clearly had arrived. The problem was how. In 2013 and at the cost of Chandon, Catena Zapata and Familia Zuccardi, the Professor of Pedology (Soil Science) at the Faculty of Agricultural Sciences at the National University of Cuyo (UNC) began work aimed at establishing the precise boundaries of the GI. One thing was certain at that time: one of its limits marked the channel of the river Tunuyán, which also forms the matrix of the area as the study was near the alluvial cone of the river. The engineers put their shovels to work and made a hundred pits along the cone. They wanted to see what some studies had said about the stones and the compositions and textures of the soils in the area. And so, with precise mapping, they established the first regularities. 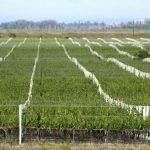 In effect, there was an area that even within the general heterogeneity, offered certain regularities of calcium carbonate, stones and sand, with the correct depth and nutritional components for vines. That area also overlapped with what the old winegrowers called Altamira. With that study completed, it was presented to the National Institute of Viticulture, which had proposed the limits for Altamira. At the same time, as Altamira was a commercial brand, the use of the Paraje was established as a way to differentiate the brand commonly used in private. In 2014, Paraje Altamira was created: offering an area of 4,790 hectares, of which 1,363 were under cultivation. It didn’t take long for opposition and discussions to arise on the subject, as there always is when new things appear. With and without reason, there were those who said that the same study – that was added to the one of the National Agricultural & Technology Institute (INTA) – allowed for a larger area. As a result the GI was reviewed and expanded. Now with a total of 9,290 hectares and 2,786 planted to date, Paraje Altamira is a perfect example in the construction of a GI. The most interesting thing is that technical criteria were established and discussed within those terms. 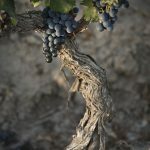 Both the original report of the UNC and the one carried out by INTA showed a healthy willingness to obtain knowledge as a basis for the characterisation of the terroir. And those who wanted to enlarge it or restrict it, eventually found some middle ground. 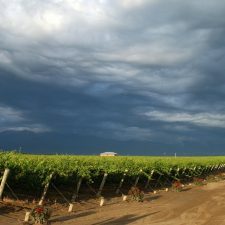 The other key element of this story is that for the first time in Argentina, a GI was created that wasn’t tied to physical boundaries, but instead the physical and viticultural landscape. This is no small thing. To this should be added one last thing: the foundations for future work like this had been established. That is what is most important. So much so that in two other GI proposals, Gualtallary and San Pablo, also in the Valle de Uco, they are implementing the tools and experience used with Paraje Altamira. There is, however, something that exceeds the Paraje Altamira GI in physical terms, and that is what makes it such a unique place. 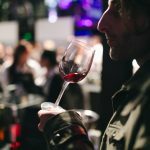 Among the winemakers of the area, a handful of producers are eager to give it value: it offers wines with a homogeneous complexion, but not unreasonably priced. There are the small producers, like Traslapiedra, Lupa or Finca Beth; medium size producers, such as Achaval Ferrer and Finca Suarez; and finally there are the large producers like Chandon, Catena and Zuccardi. This produces a human texture as complex and rich as the soil they grow in. For all this Paraje Altamira is a test case. A before and after when defining the future of the local terroir, as well as an important precedent for things to come. With this in mind, it can only get better.